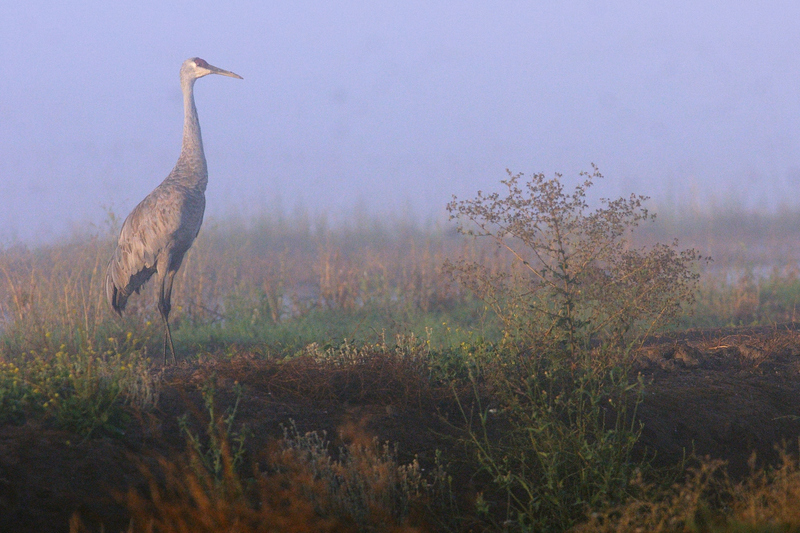 Our Sandhill Cranes are back! 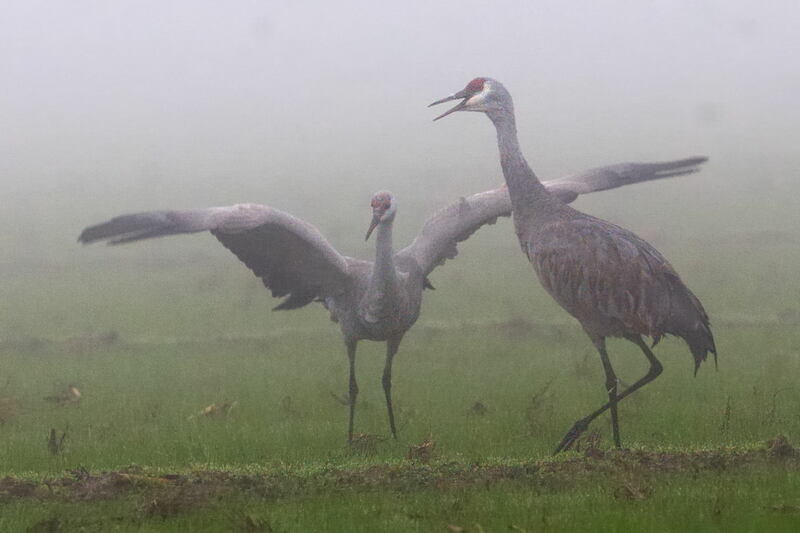 Our Sandhill Cranes are back! 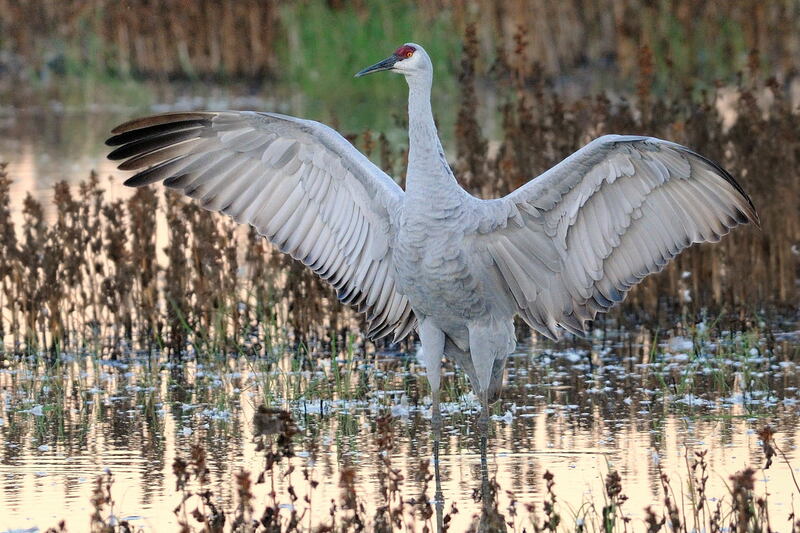 They, as well as a variety of ducks, swans, geese, and shorebirds, feed in the flooded fields and marshy areas of the delta, and hawks patrol overhead. 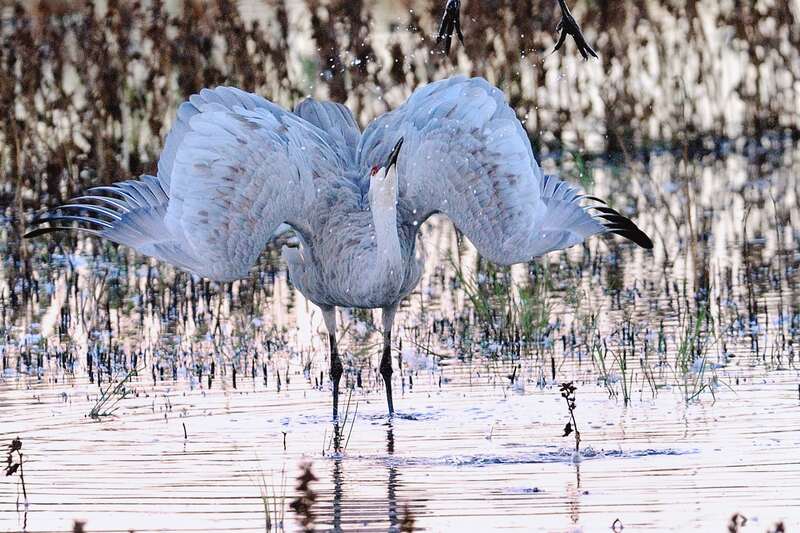 Meet on the deck of the Visitor Center of the Cosumnes River Preserve to hear a brief presentation of Sandhill Crane behavior, biology and conservation status. 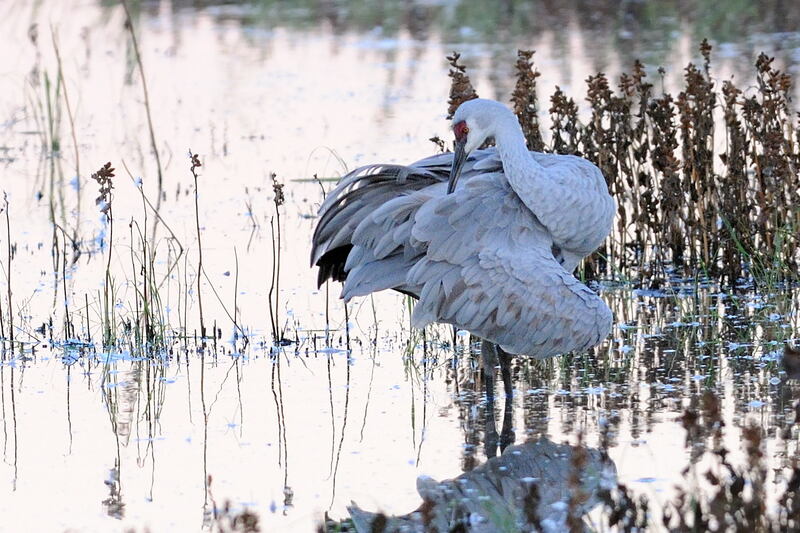 Then we might stroll the boardwalk in the Lost Slough Wetlands, enjoying views of the cranes, wintering waterfowl and shorebirds. 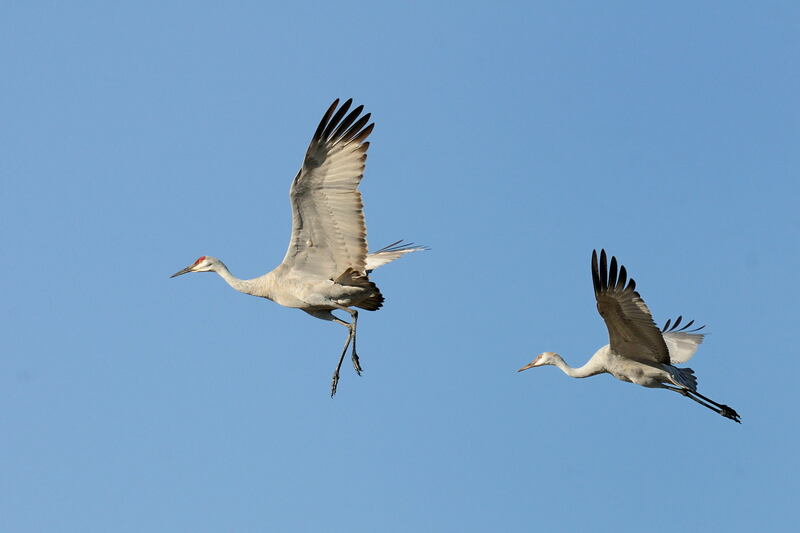 Afterwards, we may drive along Desmond Road and, finally, to Woodbridge Road or Staten Island, to see flocks of cranes fly in to roost for the night. Dress for changeable weather and bring binoculars. Scopes are helpful. From Sacramento, take I-5 south to the Twin Cities Road exit; go left (east) to Franklin Blvd; turn right (south) on Franklin and, driving through the Preserve, watch for the Visitor Center parking lot on your left. Further directions and maps are available at www.cosumnes.org. This is a great trip for beginners. If you have questions you can call 916-446-1392 for the latest information. December 22 & 23 at 3:15 PM Meet on the outside deck of the Visitor Center. 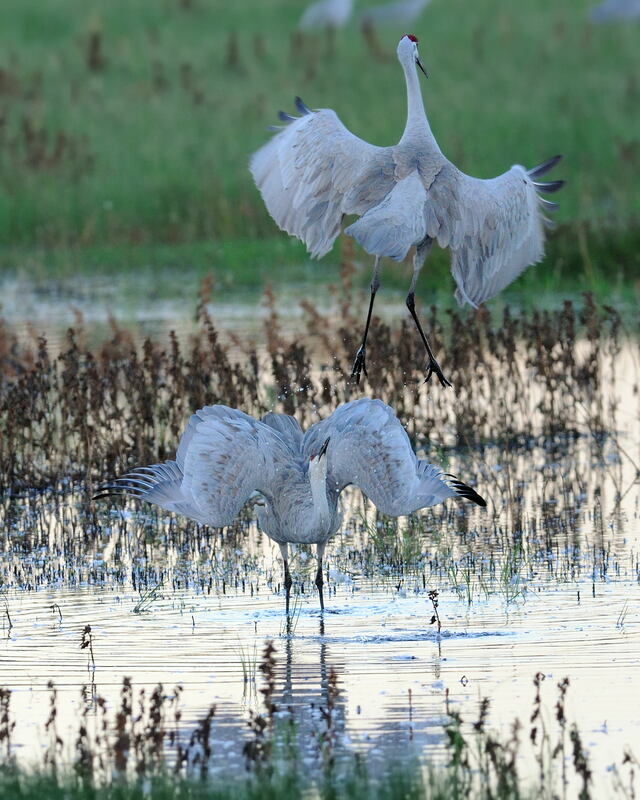 Private and custom tours can be arranged with SOS Cranes for small groups of 10 or more people, or school classes. Contact us for more information. 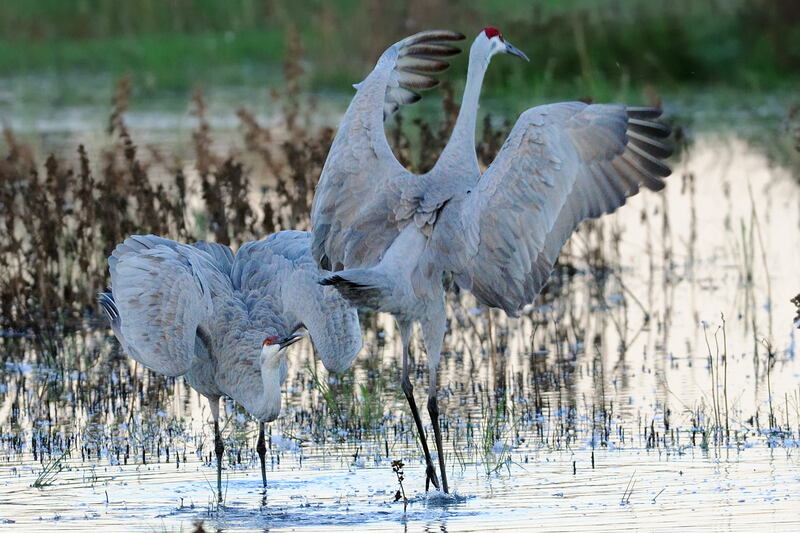 We can also provide crane tours for Spanish speakers or French speakers.